The Motif Metal Bar Collection provides a unique look and feel that instantly will add industrial charm and character to its surroundings. 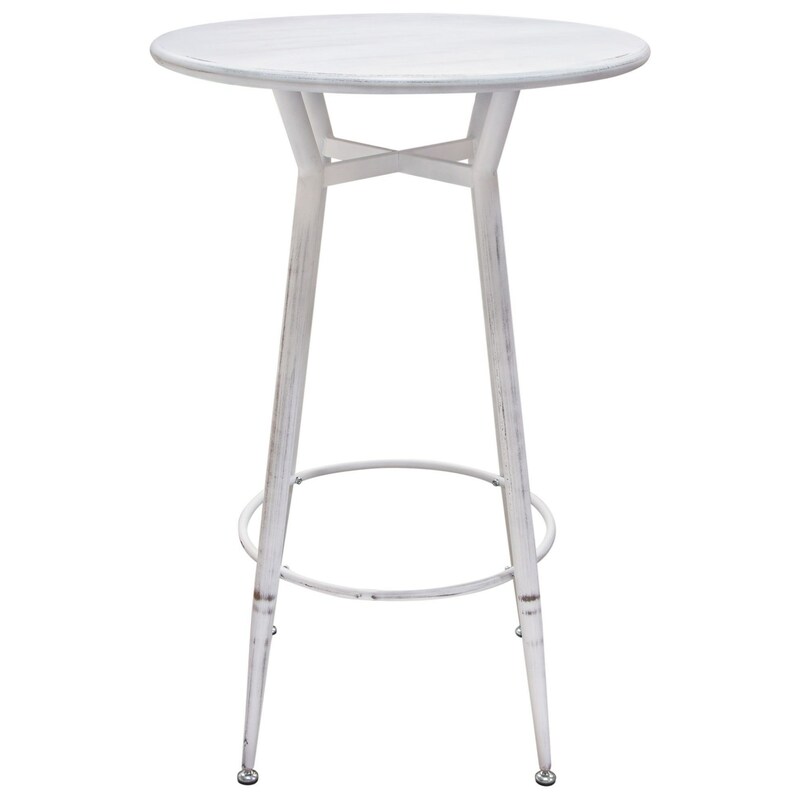 This 28" Round bar height steel table in antiqued white finish allows for mobility during functions to provide conversation areas for friends and family. Matching Backless 30" Round Stool/Chair is also available. The Motif Bar Table by Diamond Sofa at Red Knot in the Oahu, Honolulu, Kapolei, Pearlridge, Salt Lake, Hawaii area. Product availability may vary. Contact us for the most current availability on this product. Browse other items in the Motif collection from Red Knot in the Oahu, Honolulu, Kapolei, Pearlridge, Salt Lake, Hawaii area.